Belief and passion may get you out of bed every morning, but it’s not so fun when business keeps you awake at night too. 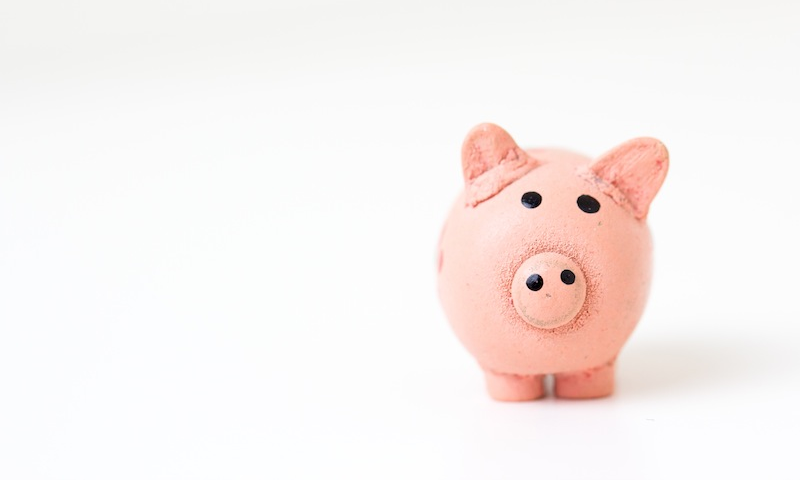 For many small business owners, the night sweats come as one recurring question: ‘When will I get paid?’ And frustratingly, it can depend on who you’re doing business with. The answer to this question can impact your cash flow, your business relations, your decision making, your ability to trade – and can have knock-on effects into your personal life, too. But you do have the ability to check the credit state of a potential customer before doing business. Using this information, you can assess the likelihood of late or non-payment, consider the onward effects, and make adjustments to reduce your risk. Can you see that your customer often takes a few months to settle their bills? Make it your policy to request two payments – a deposit and a final payment – or request cash on delivery for any stock you send their way. This will help protect your cash flow, and reduce the risk of being left out of pocket. Can you can see that a potential customer is high risk – because, for example, they are asking for credit terms from someone else? Respond accordingly without causing a fuss. Tighten your next payment terms from 30 days to 14, for example, so you can start pushing for payment sooner. Does your customer have a clean credit report, with no red flags? Their payment history can have a valuable bearing on your bottom line. Perhaps they’re a big business that won’t budge on its payment terms. You can use trends to project repayments and manage your cash flow. Perhaps they’re a small business with no signs of distress. You may wish to work harder to secure extra business with them, to help the health of your cash flow. Perhaps they’re a small business with no signs of distress. You may wish to work harder to secure extra business with them, to help the health of your cash flow. Check in for more posts from Xerocon, the world’s most beautiful and innovative conference for those using or interested in cloud accounting. The post The power of knowing who you’re doing business with appeared first on Xero Blog. The longevity of a business is determined by many factors, perhaps at the forefront is whether a firm is able to adapt and evolve to keep up in an ever changing technological world. The accounting industry in particular is constantly being met with so many innovative new tools. It’s very important for advisors to keep up or risk being left behind. In conjunction with this there is no point in having all the latest gizmos and gadgets if you don’t have the right team behind you to drive it. Graduate accountants leave university today armed with skill sets that weren’t even around when some of us started our practices. 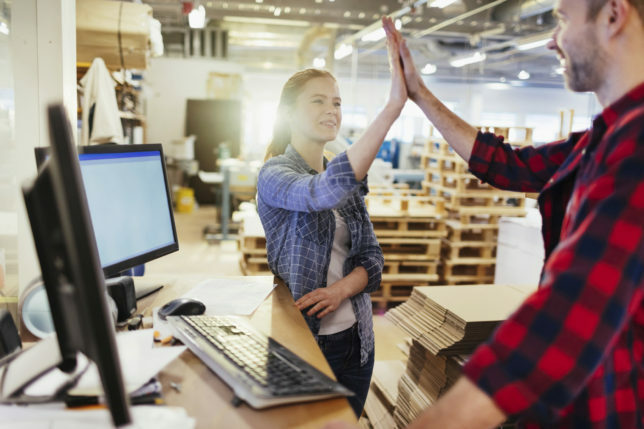 There’s no denying that millennials work very differently, and although sometimes tarnished with a negative stigma they add great value to any business today. However it can be hugely overwhelming when deciphering not only how to recruit them, but also how to foster the most of out of them. It’s undeniable that these millennials had a different upbringing to our own, growing up surrounded by a world of technology. Rather than textbooks, their learning is with cloud apps and the Internet. Business owners should harness it. The tech industry is evolving at such a rapid pace that being comfortable with change and innovation is a vital skillset to have within a firm. A graduate who understands technology, even if you don’t, will be a huge asset in the long run. How do you select the great people from a tall pile of CVs? When advertising a graduate position it’s likely that you’ll be flooded with a multitude of resumes that at first glance all look identical. All coming from similar universities with the same degree can make deciphering who will be a natural fit for your firm a huge challenge. The first thing I look for is a person who will suit the culture of my team and my clients. I also look for for great work ethic, clearly demonstrated in their ability to commit to a job or community work during their studies. Even if it’s not related to their degree or a part time job at a cafe shows, it shows a person’s ability to juggle tasks, work under pressure and most importantly work hard. It’s very easy for students to take an easy route through their studies, but those who consciously work within their community or demonstrate they are a team player usually go to the top of the pile. But there is a mental shift with millennials which means that the hiring process entails not only being impressed by your candidate but also your candidate being impressed by you! If a graduate ends up having to choose between you and another firm your competitive edge will be your company culture and the methods you use. Studies have backed up the theory that millennials place a lot of focus on a workplace culture and really value having areas like breakout spaces. Adapting your workplace to accommodate millennials could sound extreme and expensive but it can be as simple as bringing in a few standing desks or a beanbag area. Similarly embracing cloud technology will allow colleagues the flexibility to work from home when they feel they need to. The post How to hire the next generation of accountants appeared first on Xero Blog. Consumers these days are smarter, savvier, and — to put it bluntly — more demanding than ever. Not only are they shopping across physical and digital storefronts, but they expect to have the same great experience as they move from one channel to the next. Oh, and they want you to offer products at great prices and fulfill orders in the fastest and most affordable way possible. Those are some very high expectations, and you can’t meet them using legacy retail systems. To fulfill the demands of modern consumers, you need to arm yourself with a powerful retail solution that provides tools for managing products and customers across multiple stores and touchpoints. It’s a big ask, but it’s something you need to do if you want to stay in business. 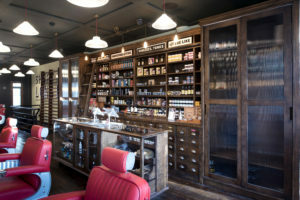 If you’re looking to move from a traditional retail system but aren’t sure how to go about the process, keep reading. We tapped into the retail community and asked retail and technology experts to share their best advice for merchants replacing their legacy retail management system. Have a look at their insights below and keep them in mind when you’re in the process of upgrading your retail solution. 1. Start with the customer. Start with the customer. What’s their ideal world? What will the system need to deliver? Map that versus your system’s current capabilities and you’ll have begun the process of building out a skeleton business requirements document. It can be easy to get wrapped up in what you need in a retail management system, but don’t forget to who you’re doing all this for — your customers. Rather than focusing solely on what you require, figure out the ideal shopping experience from your customer’s perspective and then choose a system that can deliver that experience. – Jan Michael Jaudian, VP of Software Design & Chief Solution Architect at TransMobilize Inc.
Before diving into the technical details of replacing your retail management system, make sure you’ve clearly defined your business objectives. Why are your switching to a new solution? How will it fit into your business roadmap? Clearly defining the answers to these questions will help you navigate process so you can successfully find and deploy the right solution for your business. 3. Look into solutions with the most front office functions. Try and research the platform with the most front office functions included in the same solution, not a string of bolt on applications. Collapsing as much as you can into one mobile cloud solution if you can is a great idea. It keeps your nimble, fairly disaster resistant and your costs down. If you find the platform that has most of what you need to run your retail operations, it will also need to provide an open API that can Integrate with other things should you EVER need it to. We completely agree with Green’s advice. When you’re researching retail solutions, set your sights on platforms that offer multiple front office functionalities. In other words, avoid running solutions like your POS, inventory, CRM, or ecommerce system separately, as this can result in business inefficiencies. And if you do need to integrate (for example, you’re linking your POS with your accounting system), make sure the integration is seamless, and you’re able to manage information across both systems with ease. 4. Be mindful of potential pitfalls. When searching for a system, be aware of the pitfalls of vendor lock, inflexible APIs and the learning curve any new system presents. Don’t let a shiny new system blind you from potential issues down the line. Before signing up, think about how you’re going to transition users to the new solution. Is it easy to understand or would you need to invest resources in training? Be sure to assess the flexibility of your new solution. Is it customizable? Do you need to modify your existing workflows? Can it integrate with other solutions you’re using? These are just some of the questions you should answer before deciding on a new system. To me, the answer to this question boils down to one word: process. Here are some of the steps I would encourage retailers to follow: Step 1: Compile a list of must-have features; Step 2: Schedule a demonstration; Step 3: Research the company; Step 4: Request pricing ; Step 5: Run a free trial. 6. Consider bringing in a specialist. The implementation of a new POS system across multiple stores requires planning, time and patience. 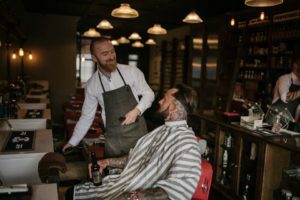 Since your staff is already working hard at running the business, bringing in an outside specialist to focus on the transition, the training, the data conversion and everything else – will be money well spent. If you don’t have the resources or expertise to research, evaluate, and deploy a new retail management system, then you may want to consult with third party experts who can assist you in all phases of the project. In doing so, you’ll save time from having to sift through the numerous solutions in the market. Plus you’ll be able to tap into their technical knowledge and expertise so that you can make smarter decisions throughout the process. 7. Choose a system with robust inventory capabilities. When it comes to replacing a legacy system, retailers need their new POS to feature a strong inventory system. Another thing to consider is whether or not the inventory data from the legacy system can be migrated to the new system. Depending on the number of stores and the amount of products, having to go back through and redo inventory counts from scratch is something retailers don’t want to even think about. In the same breath though, there’s no reason to adopt a mediocre POS just because your current inventory data migrates to it. Retailers have to keep the future of their business in mind. The vast majority of multi-store retailers — ninety-six percent according to Software Advice — are requesting specifically for inventory management capabilities for their new POS. This comes as no surprise considering that products are the lifeblood of any retail business. That said, inventory is also one of the most challenging aspects to manage. Keep this in mind when searching for a new retail system. Features such as staff management and loyalty are great, but inventory should be your top priority. 8. Don’t be afraid of new retail solutions. Embrace them. New technologies are allowing for impressive levels of accuracy in inventory control, a stunning ability to optimize your marketing and convert browsers into buyers (whether they’re in-store or online), and integrate with other software in ways that will save you time, money and headaches. If your first thought is that this sounds a little bit out of your comfort zone, don’t worry. The tools that will connect everything from your POS system to your inventory management system to your online store to your accounting software and payroll, are now as intuitive as they are powerful. You’ll be amazed at how, all of a sudden, things just work together. 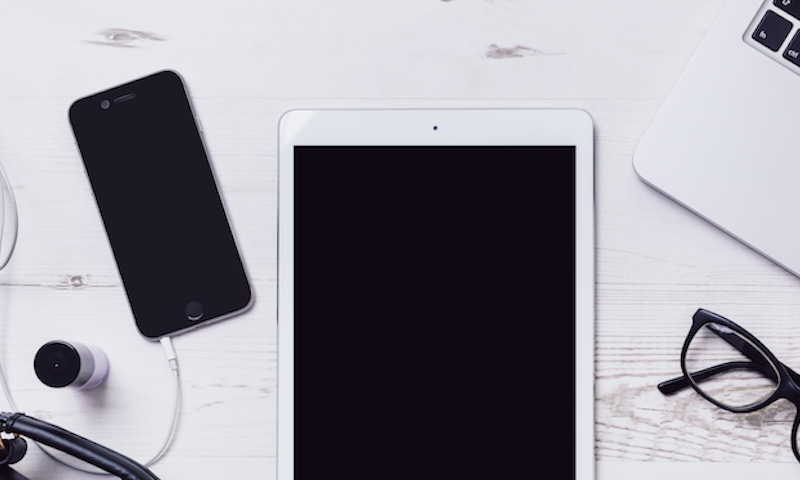 Don’t let fear of new technology get in the way of innovation in your business. Yes, switching to a new platform can be overwhelming and intimidating but when you do it right (i.e. do your research, follow a process, and/or hire a consultant if necessary) you’ll find that the payoff is well worth it. Testing out new software is always a huge plus. You’ll want to make sure everything runs smoothly and can be modified to the needs of your company. Front of house operations, inventory and accounting will probably be the most key items to keep in mind during testing. Integration with ability to handle shipping, receiving and other tasks may come in handy for the business as well. Modernizing your retail management system will take a sizeable investment, so you want to make sure you get it right. The best way to do this is to thoroughly test the system to ensure that it works for your business. For best results, test it in the real world. Deploy it at an event or a popup store. Or if possible, test it out in a small market or a couple of stores before rolling it out across all your locations. 10. List your “need to have” features first. First things first: you need to make a list of features you cannot live without. Next make a list of features you want, but could live without. Finally, set a budget. Once you know what you need, you can start looking. After some searching, and using a database like Capterra, narrow your search down to 5 solutions. Make sure to spend time talking to their sales reps, and take advantage of free demos or trials to really get to know the software. If you love a certain software, but it doesn’t quite have everything you need or want, make sure to talk to the sales rep about it. Companies are often able to build special integrations, or even full features, custom in order to make sure their customers have everything they need. When it comes to determining the features your next retail solution should have, be sure to create a “need to have” and “nice to have” list. It sounds simplistic, but if you aren’t clear on the features you that you absolutely need versus the “nice to haves,” you could get sidetracked and end up with a beast of a project. Do you have any advice for retailers who are looking to switch to a new retail management system? Let us know in the comments. 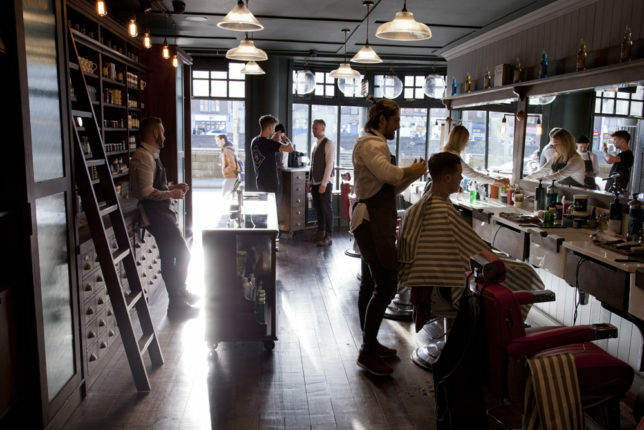 The post Retail Roundup: 10 Industry Experts Share Their Best Advice About Replacing Legacy Retail Systems appeared first on Vend Retail Blog. You can set up payroll to show annual leave an employee can take in advance of becoming entitled to it. 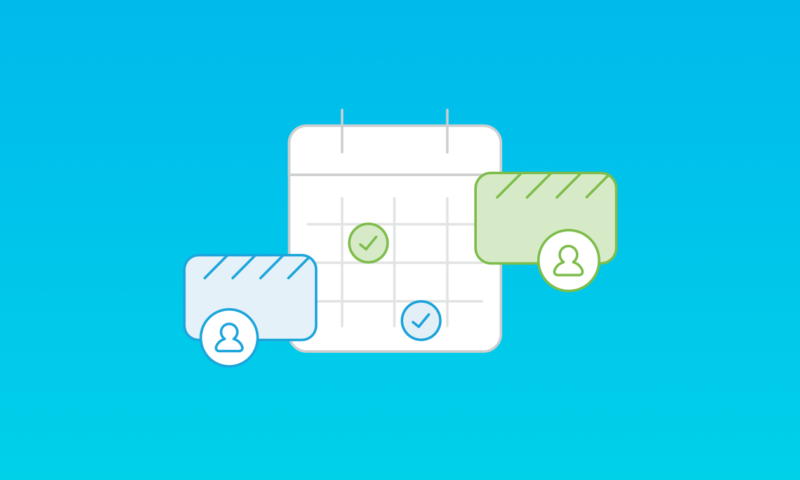 When you set up a new employee in payroll, or make changes to an existing employee’s working hours, Xero will automatically calculate their annual leave entitlement. The biggest addition in this update is that you can now set up an employee’s annual leave balance to display the amount of leave they can take in advance. From Payroll, select Employees and choose an existing employee. Navigate to the Leave tab and click on Annual Leave balance. Tick the box to Include leave available to take in advance in the balance and Save. 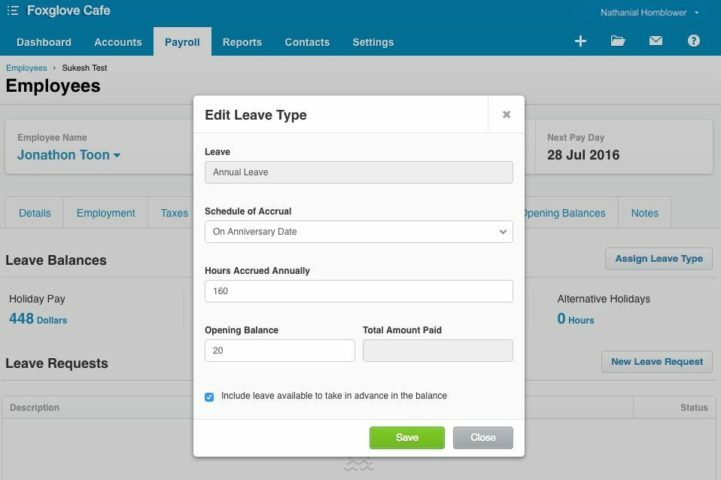 Once you’ve turned this option on, your employees’ annual leave balances – including leave available in advance – will show on their payslips in the employee portal and Xero Me mobile app. To keep things simple, only payroll admins will now see holiday pay balance in dollars when this option is turned on. 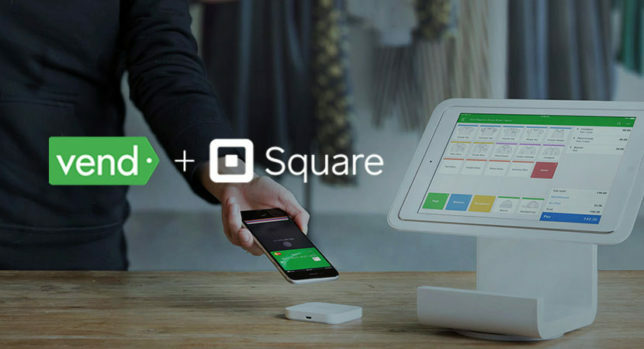 You no longer have to manually enter hours accrued annually for employees. It’s automatically calculated based on their weekly hours multiplied by half their holiday pay percentage. For employees who aren’t subject to the Holidays Act — such as business owners who pay themselves — you can set the holiday pay percentage to zero and they won’t accrue annual leave. Need help managing your payroll? Find a Xero-certified accountant or a bookkeeper. The post Improvements to employee leave in New Zealand payroll appeared first on Xero Blog. Bill Morris remembers only too well “the bad old days”. This was before his business, Compass Gas and Plumbing, was using mobile job management software and had to rely on its mobile staff and subcontractors to collect notes and photos while out on the job. “They would drop photos back in the office,” Morris says. “We’d have to put it all together – arrange the photos, get the notes, type all of it up [for the client]. The issue was they couldn’t remember what section of the building [they were in] . . . they couldn’t remember what they were referring to. We’d try to decipher the photos for them but it was just very time-consuming.” This was assuming the plumbers remembered to load photos into the system once they were back at base … or remembered to take photos in the first place. Trades and services businesses say that one of their biggest challenges is getting their staff to collect accurate information while they are out in the field. When it’s done thoroughly and methodically, accurate and timely mobile data collection offers significant time and resource savings. It saves businesses money because they don’t need to pay contractors to deliver on-site information more than once, or require their clients to collect details for them. It helps resolve client issues because information is gathered and date- and time-stamped, verifying job status and attendance. Collecting data from the field via modern mobile devices, particularly smartphones and tablets equipped with high-quality cameras, also allows for better decision-making. Managers are working with precise information, taking the guesswork out of decisions that can save the business time, money and energy. Compass Gas and Plumbing, based in Picton in Sydney’s south-west, has up to 15 trucks on the road. Much of its specialist plumbing work is through government contracts and they often work at schools and jails, where accurate reporting is paramount. As well as its private customers, Compass has done work for Spotless Services, Sydney Harbour Foreshore Authority, Progroup Management and Penrith City Council. Morris says one of the attractions of using mobile job management software, in this case GeoOp, is that it provides a timed record of job performance. On every jobsheet, Compass takes note of every conversation and the name of every person staff speak to, and the times its plumbers are on site. They also include a photographic record of their work – before, during and on completion. Morris says taking notes and photos at every stage of a job is a good work discipline for his plumbers: “It gets them in a habit of taking lots of photos.” He also says it’s very useful if a client ever claims his company is responsible for not doing the work required or causes damage. If you’re looking for proof of why it’s important to collect accurate information in real-time, there it is. The post Mobile workers rise to the challenge of collecting accurate information appeared first on GeoOp. It’s no secret that Xero CMRO Andy Lark is passionate about small business. He’s a huge believer in the power of small biz networks and the importance of ecosystems. So, in the lead up to Xerocon South – the theme of which is ‘The Network Effect’ – Andy has invited CEOs from leading startups Hubdoc, TSheets and Redii to join him for a panel discussion, focusing on the importance of ecosystems in driving global growth. These inspiring leaders will talk about how they have scaled their startups and turned them into thriving businesses. Guests will include CEOs and business directors from the Sydney startup scene. “From Apple’s App Store to the Xero App Marketplace, ecosystems have played a major role in driving high-growth companies to success. With cloud software, it’s easier for any startup, anywhere, to build a globally scalable product” Andy says. Andy will explore why ecosystems are core to the success stories of three businesses who are at different stages of their journey to integrate with the Xero ecosystem. Jamie McDonald, Co-founder of Hubdoc, which taps into existing document-rich systems to make life easier for organisations – existing ecosystem partner. Matt Rissell, CEO at TSheets, one of the most popular time-sheeting apps – new ecosystem partner. Naomi Simson, Director at Redii employee recognition and reward software – looking to join the Xero ecosystem. While this event is invite-only, keep an eye on social media and the Xero blog to hear how the panel discussion goes! 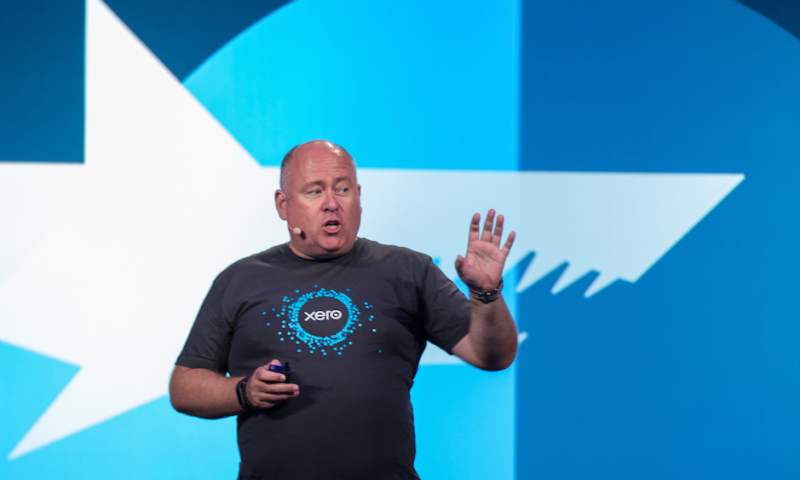 Find out what Andy talked about at Xerocon San Francisco earlier this month on the blog, or follow him on Twitter @kiwilark. 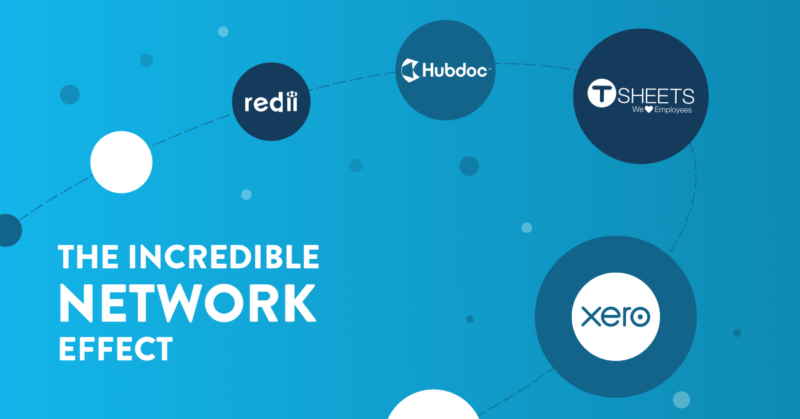 The post The Incredible Network Effect appeared first on Xero Blog. Can Reducing Inventory Really Improve Working Capital? The 1,000 largest American companies would improve their working capital by a combined US$1 trillion if they optimised their inventory and accounts, a recently published report suggests. The 2016 US Working Capital Survey shows most of these companies are carrying debt instead of improving business processes to maintain cash reserves. Top performers in the survey are seven times faster than typical companies at converting working capital to cash. In addition to collecting from customers faster, they hold less than half the inventory than the companies that rely on debt to maintain cash reserves. For most companies, efficient management is the only way to improve working capital. Large corporations might enjoy the luxury of negotiating cheap loans—an option that will last only as long as the economy cooperates and the central bank doesn’t hike interest rates. The rest of the world needs to cover operating expenses by lowering current liabilities and increasing current assets as much as possible. Inventory is the linchpin to working capital, especially in general retail and grocery sectors where it can account as much as 70% of current assets. Too much inventory reduces current assets tying cash up in excess raw material purchases or warehousing costs. Too little inventory increases reordering costs, but carrying buffer stock can turn into a liability if a company anticipates more orders than it receives. This may be an easier proposition for smaller companies than you think. Large corporations with complex supply chains and multiple departments have a serious scale problem. But smaller, nimble companies can take some basic steps to inventory management—using effective purchasing and inventory systems, knowing all stock turnover, applying appropriate controls—that can be coordinated easily across a smaller team. The post Can Reducing Inventory Really Improve Working Capital? appeared first on Cin7.